for $179,900 with 4 bedrooms and 3 full baths. This 1,638 square foot home was built in 2006 on a lot size of 0.18 Acre(s). FABULOUS DEAL ON THIS BEAUTIFUL HOME LOCATED ON A QUIET CUL-DE-SAC IN A GREAT NEIGHBORHOOD WITH NO HOA!! 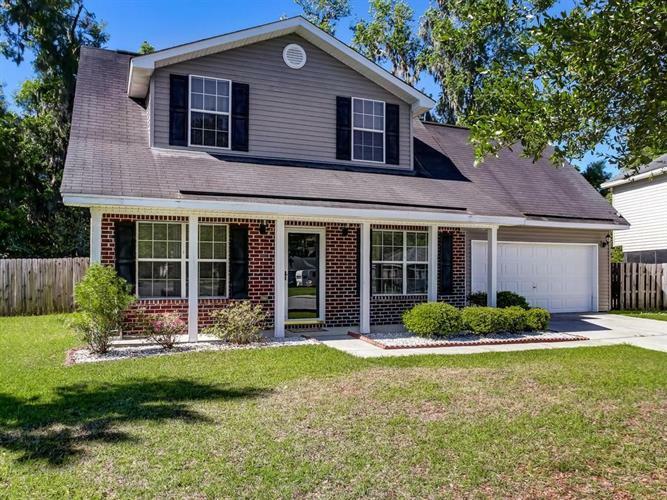 THIS HOME IS JUST MINUTES FROM CHATHAM PARKWAY, HWY 17, I-516, OGLETHORPE MALL, SHOPPING, RESTAURANTS AND DOWNTOWN SAVANNAH. THIS BEAUTY FEATURES 4 BEDROOMS, 3 BATHROOMS, AN OWNER'S SUITE WITH AN OWNER'S BATH, A NICE KITCHEN WITH A BREAKFAST AREA, LR/DR COMBO, 1 BEDROOM AND A FULL BATH LOCATED ON THE MAIN LEVEL, UPGRADED WOOD LOOK CERAMIC TILE FLOORING IN THE LIVING ROOM AND DINING AREA, A LARGE PRIVACY FENCED BACKYARD WITH A STORAGE BUILDING, 2 CAR GARAGE AND SO MUCH MORE. HURRY!! DON'T MISS THE OPPORTUNITY TO MAKE THIS BEAUTY YOURS! !